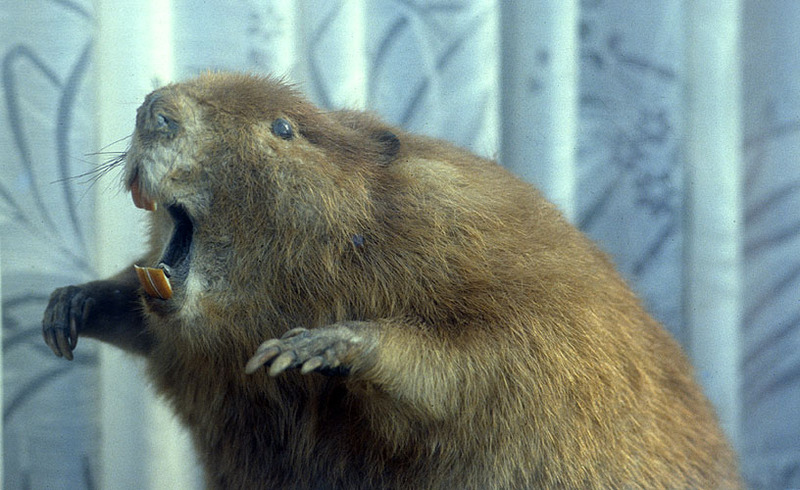 SOUTH AMERICA: ISLA NAVARINO: Nice Beaver! The scourge of Tierra del Fuego's lenga forests, four pairs of these critters were introduced to Isla Grande in the 1940's from Alaska. The hope was that the sale of their pelts would sustain local communities, but demand has fallen drastically and they have wreaked havoc upon the native woodlands, even managing to swim the channels between islands. This trophy was on display in the window of a house in Puerto Williams.